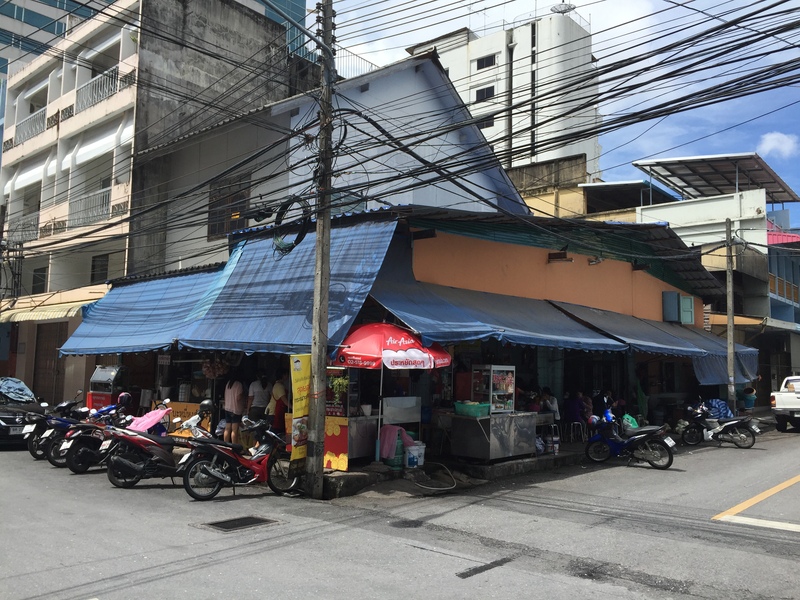 This is one of the long standing foodie landmarks in Hatyai. Most of the customers are Malaysians and Singaporeans. The Wan Tan Mee is decent but not fantastic. To me, the noodles is of a lower grade than what we can get elsewhere. 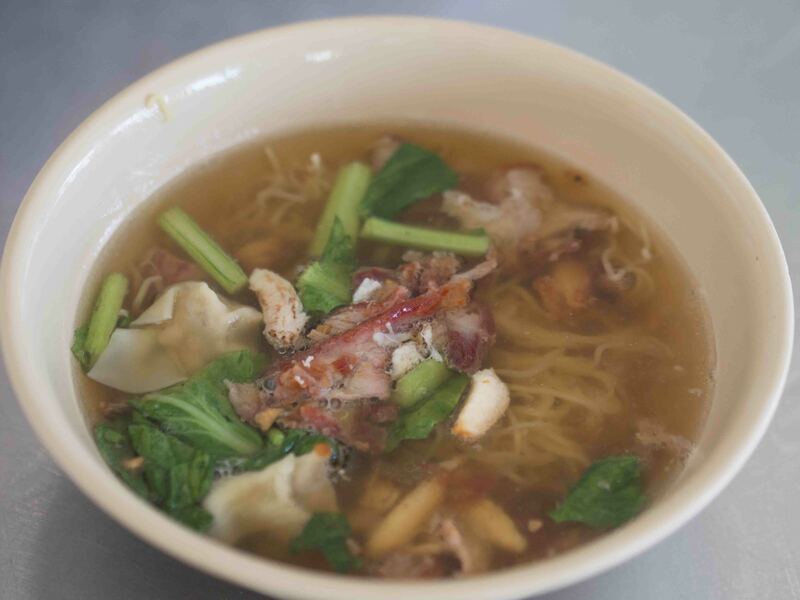 Since it is the most popular Wan Tan Mee shop in Hatyai, you might as well come down and try if you are in town. Maybe you would think that the noodles tastes better than I do. I come here to eat once in a while as they serve one of the better Char Siew York in Hatyai. 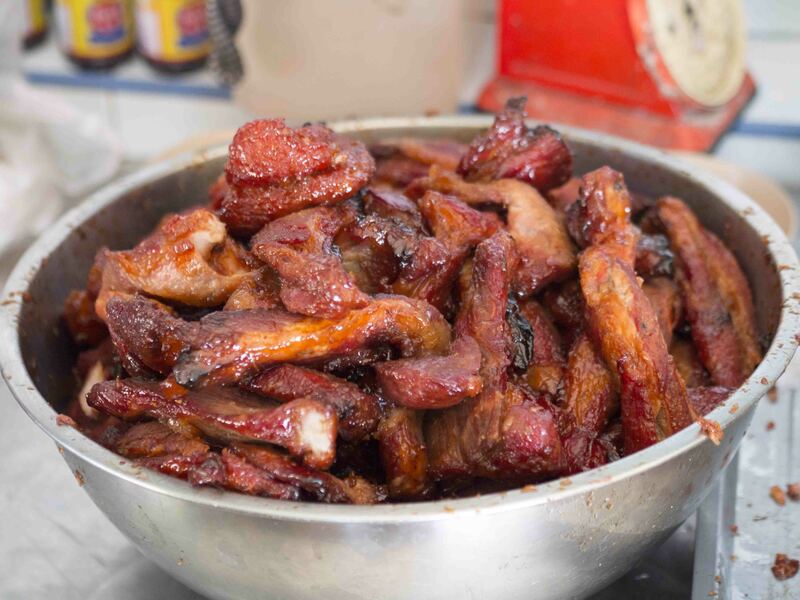 Most of the Char Siew York you will find in Thailand are actually pork belly boiled and dipped into red color food dye. The Char Siew York here is probably the main highlight that draws in the customers as you can see from the picture that they did barbecue the Char Siew York and not just blatantly boiled it. Do not expect the Hong Kong standard or Shah Alam Meng Kee Char Siew York though. 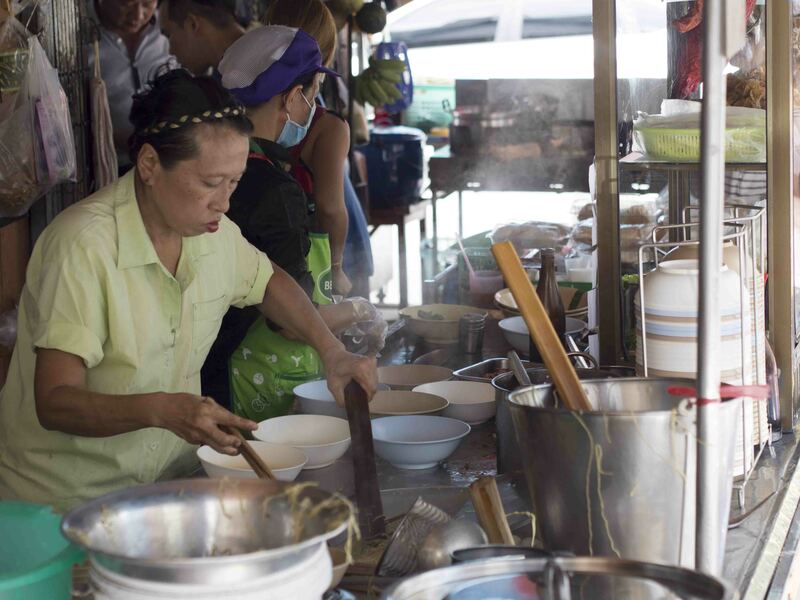 The shop serves other food like satay and pork trotters and roast duck etc. The attendants may ask if you want to order the whole suite of items in their menu. 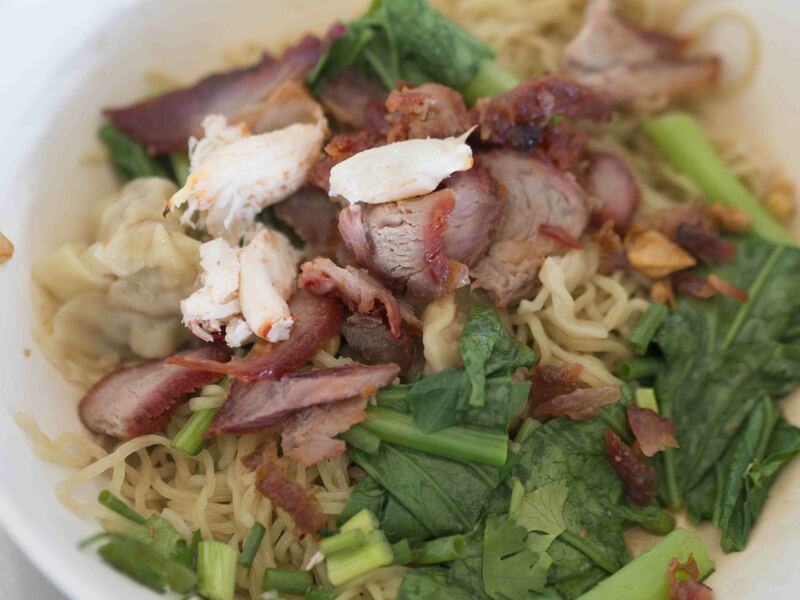 I recommend that you should just stick to the Wan Tan Mee. After the meal, you can treat yourself to a foot massage or Thai massage on the second floor of Sakura Grand View Hotel (the newer one) nearby. It is a cheap and fuss free place to enjoy the half hearted service by the masseurs while they grumble among themselves. Remember to buy the foot or Thai massage coupon from the tour agency opposite the hotel to get it at a lower rate. This is a local eccentricity in Hatyai where buying a coupon from the tour agency next door is cheaper than paying at the place itself. Because we can.